Time Travel: What are the Odds? During Time Travel posts, we transport to different points in history. No TSA security checks necessary. Imagine something you’ve wanted, and wanted bad. So much so that you’re willing to risk your life doing it and take no pay for it. In fact, you have to pay to do it. But first, you have to beat out 22 other gals for that privilege. 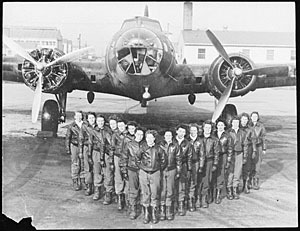 Each of the WASP (Women Airforce Service Pilots) of World War II seemed to believe it was worth it. Each carried their own reasons, along with the footlockers they toted to training on the vast prairies of Sweetwater, Texas. But they boiled down, really, to just a couple: love of flying, love of country. Their unique skills meant military planes reached their stateside destinations, new ships met their match during testing, trainees learned to fly, and bullets connected with towed targets during live-ammunition practice sessions. And they stayed mindful that close to a dozen other women would love to take their place quicker than a West Texas flash flood. Twenty-five thousand women had mailed off their hopes in the form of an application. WASP founder Jacqueline Cochran chose 1,830 of them. 1,074 made it through the rigors of training to receive their graduation wings. 38 women paid the ultimate price. And the American skies – and the war effort – were altered forever. Let’s talk: Has there been something in your life that was worth this much effort? Who in history do you admire for this kind of commitment? “Come on, you yellow Pansy!” Josie muttered at her parked Stearman biplane. Only when it didn’t cooperate did she use the canary-colored plane’s nickname. She sauntered around a few seconds to refocus, hands on her hips, then turned on a heel to face the propeller once again. With a swift motion she yanked with all her might. The plane chugged, sputtered in protest, then fell silent as if pouting. Frustration rocketed out of Josie. Her fist connected with the cold metal shell of the plane with a dull thud. The bitter chill of the wind magnified ache in her knuckles. It was Christmas Eve, for Pete’s sake. Only two days off from WASP training. She shook her sore hand and glanced around the barren, rolling plains. Wind whipped her chin-length brown hair into her eyes, but she could still see far down the dirt runway in the mid-afternoon stretch of sunlight. Maybe two more hours of daylight. Maybe. Mercy, it felt good to be back in her family’s plane. To grasp familiar controls. No cramming bushels of new information just to get airborne. She smiled and sped through the pre-flight check with expert precision. A quick touch to two bags at her feet and she was ready. She leaned into a steep bank from north to east. Oh, how she loved those turns. She surveyed the land and caught sight of Sweetwater on the horizon. Cold air turned her nose as red as Rudolph’s. After sailing by the sleepy town, she headed southeast. It was almost as if the plane could fly home blindfolded to the James farm. That stupid cat. He’d almost been the death of her almost as soon as she’d set foot on Avenger Field. Cats belonged in barns, earning their keep by mousing. This flea bag – she felt him climb onto her lap, gripping claws all the way – had made her dream her first week about warm Russian-style hats. She’d read about them in school. When she awoke one morning from the recurring dream, she’d heard purring. Jerking fully awake, she looked at her pillow only to see this lounging gray and cream tabby cat gazing at her, content. She’d shooed it off her cot and watched, still in disbelief, as it hopped on another one and out the open window. Her five baymates–her friends–had only chuckled and ignored her attempts to keep him out. Betty, who slept closest to the window, would reopen it after Josie conked out every night. The routine repeated each day. Before long he’d taken on the name of Gravy, after the cream-colored fur on his soft belly. Josie allowed a small smile. Truth be told, she’d never slept better than when he warmed her head each night. Not that she’d admit that to anyone. She cleared her throat. Quick scans around the cockpit floor confirmed her suspicion. Her canvas bag now gaped. Bits of fur decorated the opening. “Well, cat,” she glanced down at his closed eyes. How could he sleep up here in the sky? “I reckon Brown Betty will have a barn visitor for Christmas.” She laughed out loud, anticipating her mare’s whinny of displeasure. Brown Betty didn’t like cats any more than she liked swarming flies on a June afternoon. Ugh. Josie clamped her mouth shut. She’d laughed too long and swallowed a high-flying bug. Her grimace continued through a coughing fit. Get it together, flygirl! She peered ahead and took in Buffalo Gap’s twin hills getting bigger. Shadows below were getting bigger, too. Time was running out to finish her plan. Now, where was the Kramer house from here? Mr. Olin, a baker in Sweetwater, had described it to her while handing a warm cinnamon roll over his counter. “It’s across the road from the church,” he said with a nod and a smile. “Red bench out front. My son-in-law built it himself. Can’t miss it.” The family had moved to Buffalo Gap two months prior. Josie asked Mr. Olin to hold the reward until after she’d completed her mission. She frantically scanned the small homes and yards. Where was it? Wait, wait….now! As she shoved the bag over the side, the painted red words on the bag “From Santa” rolled by her. She caught a glimpse of the surprised churchgoers as she pulled up hard. Gravy gripped her lap. She didn’t care. Mission accomplished. Pansy veered east and headed home.